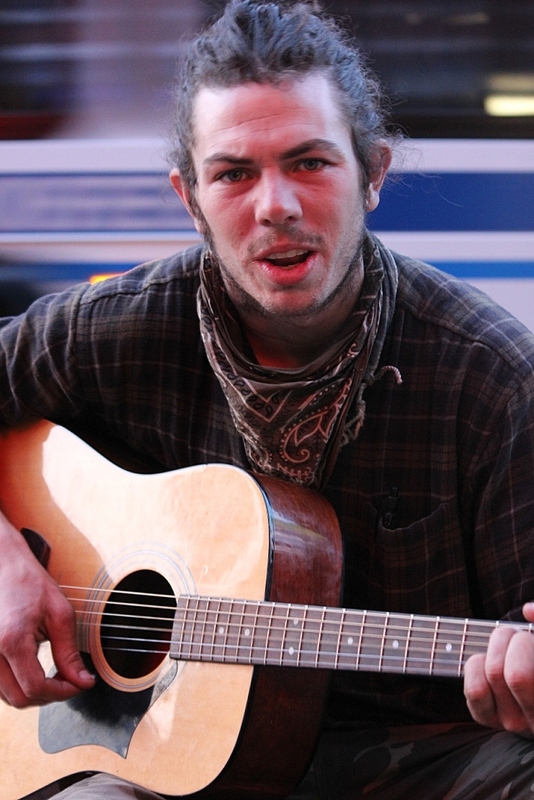 It all starts down on Lower Broad with musicians like Hunter who likes to kick it on the guitar and inter-act with the tourists. Outside the honky tonks, Hunter can be found busking and working the passers-by into his lyrics and repertoire. The Nashville Bridge salutes Hunter!